It's difficult to follow up a title as widely successful, hilarious, and co-optacular as Lego Star Wars. So, Travelers Tales revisits the world of Star Wars for a bit more Lego action in Lego Star Wars III: The Clone Wars. Only this time, instead of taking the cast of the two trilogy movies, they're bringing us the Clone Wars saga from the animated TV show. You'll play as any of the characters from both seasons of the show through their strategic war of clones vs. droids, complete with the humor that made Lego Star Wars so fantastic to play. 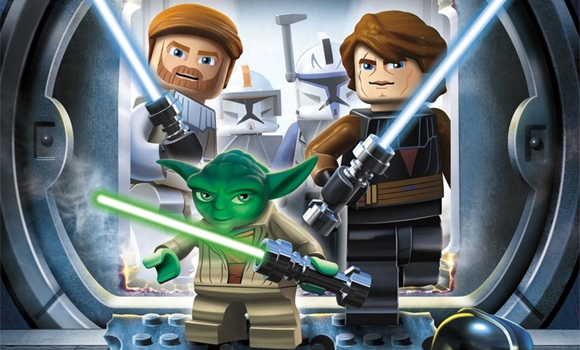 Additionally, Lego Star Wars III: The Clone Wars gives players unique custom building modes, a new battle mode, and even squad leader abilities. You'll be able to Lightsaber jump, Lightsaber slice, Jedi long-distance jump, and squad command. Play as either Jedi or Separatists to decide the outcome of this war, Lego style. Lego Star Wars III: The Clone Wars is scheduled to be released for the PS3, PSP, Wii, Xbox 360, and Nintendo DS Fall 2010.